Maggie Valley NC has been a top Smoky Mountain destination for years, and is has many different lodging options to fit your need. 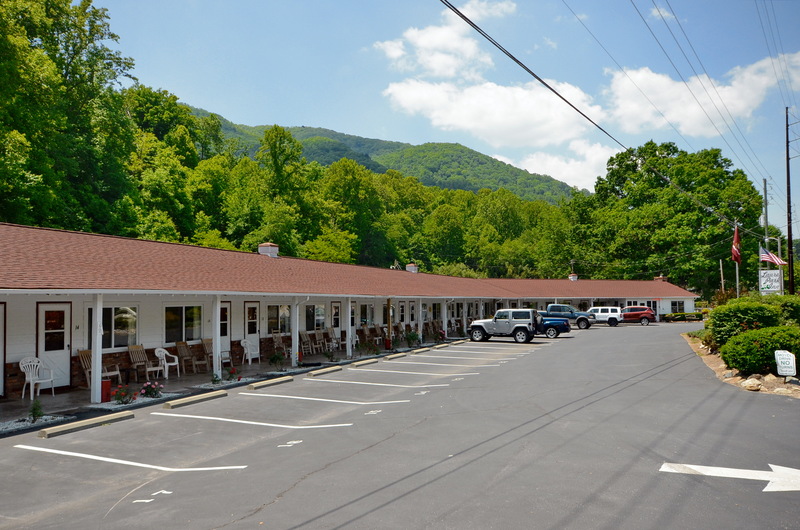 We have the best Motels and Hotels in Maggie Valley NC listed below, with accommodations, amenities, address, and contact information at your finger tips. A Maggie Valley hotel can include breakfast, jacuzzi, hot tub, fireplace, indoor and outdoor swimming pools, and even creekside views and decks! You’ll almost always find a comfortable rocking chair out front to relax and enjoy the scenic views. Have a family? Bring the kids! You’ll find kid friendly hotels with playgrounds, pools, and even game rooms! Bring Max along as too! Many motels and hotels in Maggie Valley NC are Pet Friendly, so your pets and you can enjoy your vacation together. Maggie Valley NC has become a popular destination for bikers over the past few years, due Maggie being so close to a number of popular scenic rides popular with bikers. As a result, many Maggie Valley hotels have become very biker friendly, with spacious parking, less restrictions on noise, and large outdoor event rooms for meets and get togethers. Browse through our hotels in Maggie Valley NC listings to find the perfect place for you to stay and enjoy the peaceful and serene mountain town of Maggie Valley NC. The Mountains are Calling!